Bigham Knoll #2 | Historic Jacksonville, Inc. 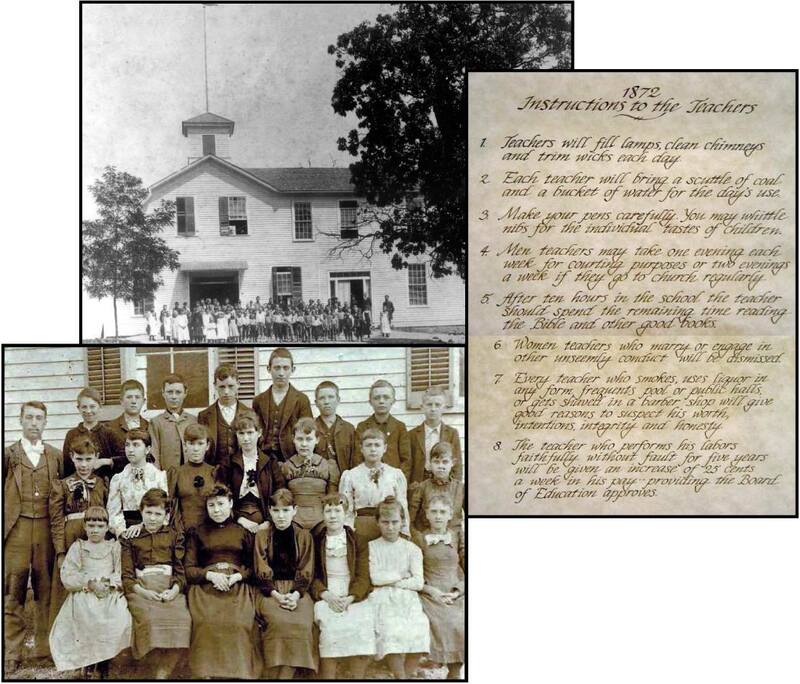 The 2-story wooden schoolhouse built in 1867 on Bigham Knoll served 3 generations of Jacksonville students before it burned in 1903. District Directors expected the school’s teachers to lead exemplary lives, to be single, and to be regular church goers. Indulging in an intoxicating drink or a game of chance was cause for immediate dismissal. Teachers were also required to provide coal for heating and water for drinking, to fill and clean the kerosene lamps, and to provide the students with sharpened quills for writing. After 5 years, a teacher might receive a 25¢ raise. Teacher turn over was high, tenure was unheard of, and few teachers stayed more than a year or two.